Enjoy Sunday Funday with rock legend Gene Simmons at his restaurant Rock & Brews off the PCH. The Kiss frontman and his wife, Shannon Tweed, plan to join diners and football fans at the rock-themed eatery at its Redondo Beach/Torrance adjacent location at 7 p.m. Oct. 6 as part of Rock & Brews’ ongoing NFL Sunday Ticket promotion. 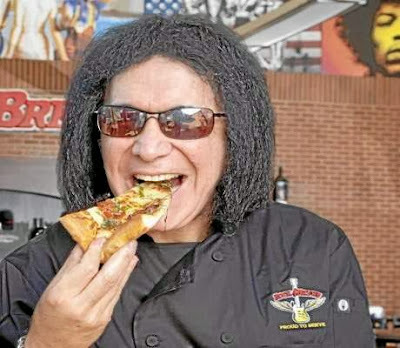 Simmons opened Rock & Brews with fellow Kiss band member Paul Stanley opened the 6300 S. Pacific Coast Highway Rock & Brews restaurant in May. It was the third Rock & Brews since the chain opened its first establishment in downtown El Segundo in 2012. A second Rock & Brews opened in March in Los Cabos, Mexico. Another local incarnation opened at the Los Angeles International Airport just last month. The Kiss rockers plan to open as many as 100 Rock & Brews in the next five years. Got a location suggestion for future Rock & Brews? Sunday is a perfect day to pitch it. For more information, call 310-378-4970 or visit www.facebook.com/RockandBrewsPCH.